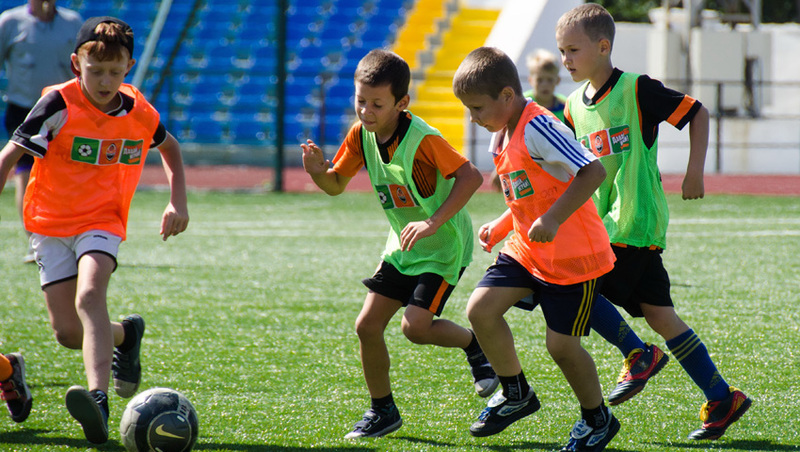 The number of schoolchildren who sincerely love football and want to play it in Kramatorsk is just immense. Therefore, the tournament turned out the biggest in the project history: it was attended by 240 children. The competitions in three age categories took place at the local sports complex Bluming, where the kids trained throughout the summer. - age 11-13 category: ‘Black Star’. Special guest of the competition was Mykhailo Starostyak. Outstanding former defender of Shakhtar presented awards to the winners. - The tournament was held to very high standards. I also want to note the conditions provided by the machine-building plant to the project participants: a great stadium, changing rooms, game rooms and the entire infrastructure. Children are happy to engage in the project under the auspices of Shakhtar, they train three times a week, absolutely free of charge, - says Mykhailo Starostyak. - Many parents came to root for the boys. As far as I managed to talk with the residents of Kramatorsk, I can say that some of the children from the sports clubs join the Let’s Play! project. The excitement and interest are great. They really love Shakhtar here and they wait for the team to return to the Donbass Arena. The winners of the individual categories celebrated their moment of glory. The Tournament Discovery prize was awarded toPavlo Kovtun. The best goalkeeper among the participants aged 7-8 is Danylo Bilotserkovskyi, with Illia Perevyshkobecoming the best outfield player. In the second age group, they awarded Tymofei Artamonov and Liv Yatsenko. In the under-13 goalkeeping category, the best is Artem Streletskyi, while the top player is Yevhen Babiy. - Initially I wanted our son to attend swimming classes, but he replied to me: Only if you allow me to play football! - says Yevhen’s mother Lyudmyla Tokareva. – He played in the backyard, then attended a sports club. And when they launched the Let’s Play! project in our town in June, we decided to have a try. Yevhen enjoys it so much. And I am pleased with the atmosphere and the conditions, in which the children train. I watched the training sessions: many kids came and started from scratch. But I can see that over the summer they have learnt a lot. They made a big football festival for all the kids, which is great. Let us remind you that the Let’s Play! project has been very popular in Donetsk and Makiyivka for several years now. In October 2015, the project of FC Shakhtar was also launched in Lviv. Children in those cities attend training sessions and become participants of the competition.